Long-gone in the UK, Yahoo Auctions is still a busy buying/selling portal in some parts of Asia. 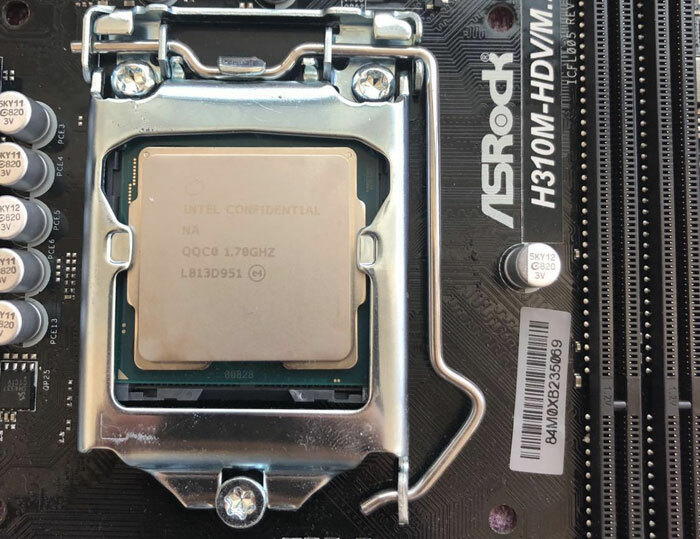 In Japan, a mysterious CPU has been listed upon this eBay rival, claimed to be an Intel Core i9-9900T. We have seen this 'T' suffix in several Intel processor variants before and it always means a reduced TDP, a low-power optimised chip. In this case it the Intel Core i9-9900T is supposed to be a 35W chip, very low compared to its 'K' suffixed brother with an official TDP of 95W. As noted by Tom's Hardware, this previously unseen, and unheard-of, chip comes with a further suffix of ES, denoting its Engineering Sample status. Thus any specifications shared in this unofficial product listing could well be changed before the final product is ready, if it does indeed come to market. 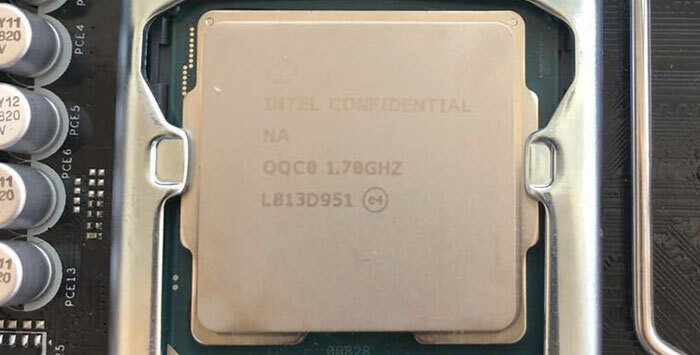 According to the listing the new Intel Core i9-9900T inherits the same 8C/16T, 16MB of L3 cache and 14nm process of the Core i9-9900K octa-core processor. Where things diverge are in the base/boost clock speeds and on-die power management settings, in order to achieve the 35W TDP. With regard to pricing for the new component, it is hard to guess what Intel's strategy will be. Tom's Hardware suggests that any new Intel Core i9-9900T processor will naturally be cheaper than the 'K' suffixed product. However, its niche appeal to systems builders looking for low-power high core count processors could work things in the opposite direction. Intel's recent pricing history of the Core i9-9900KF surprised some – even though it is missing the working iGPU portion of the Core i9-9900K, it is priced almost the same as that processor. Mark Tyson, how would you rate the likelihood that this is genuine? So, non informed buyer that will only see i9-9900 will think he will have some super high performance CPu and will end up with something potentially slower than i7 (or even i5)? The only issue I have, is that “T” cpu are still priced too high for their performances. That doesn't sound like Intel at all!